The page is only applicable to employees of Hampton City Schools. Commercial establishments who's primary source of revenue is the sale of tobacco or intoxicants cannot use this page. Discounts to employees must be equivalent to a minimum of 10% off retail price. 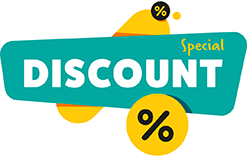 This page is not to be used for employees wanting to offer discounts for their secondary businesses. Employees must provide an employee ID to access discounts. AT&T: 15% or more off your personal wireless AT&T services and devices. Jo-Ann Fabrics & Crafts: 15% off your total purchase. Riverdale Plaza Shopping Center, 1076 W Mercury Blvd, Hpt. Michaels: 15% off entire purchase. Some exclusions apply. See a store associate for details. Available in store only.